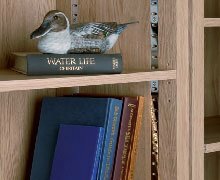 Shelving, whether it is in the kitchen, living space, bedroom, workshop, office or commercial space, is an essential method of storage and can be decorative whilst also functional. Supports for inside cabinets or brackets for wall fixing are available. There are a wide range of options to choose from when deciding upon what type of shelf support or bracket to use. Generally before even deciding upon what shelf supports to use you will need to consider what will be stored upon them, how you would like for them to look and how they will fit with the design and décor of the room or cabinet. It is also essential to take into account the weight capacity required of the shelf, the thickness and material of the shelf itself, the distance between the supports and finally how the shelf will need to be mounted. In this section you will find a wide range of supports, brackets and hangers that should enable you to achieve yourdesired outcome. 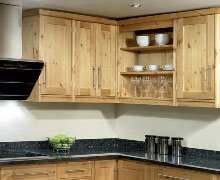 Plug in adjustable shelf supports are used extensively in kitchen cabinetry and wardrobe units. They are easily adjusted and offer a discreet shelving solution with easy height adjustment. A designer’s favourite, due to their minimalistic appeal, floating shelf brackets enable a clean line and finish to be achieved upon installation. 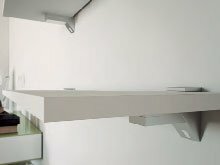 They are used to create the impression of a “floating shelf” with novisible mounting or fixing. The shelf itself should have at least 2 symmetrical channels (size and width is support dependent) into which slide the shelf brackets that are attached to the wall. Adjustments to achieve a level shelfare dependent upon the shelf brackets chosen. These are ideal for display shelving in kitchens, bedrooms and even bathrooms, and are often a desired feature in living areas where aminimalistic look is required. Due to their heavy duty performance they can also be used tosupport book shelves. Attractive shelf supports and brackets to suit most wooden or glass shelves. 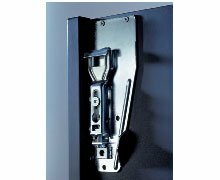 Many of these brackets feature a clamping action to ensure that the shelf is secure. Generally the support chosen is picked based on the thickness and material of shelf it is going to be used with. Adjustable bookcase strip systems will support the weight of very heavy items (dependent upon the style chosen). As they are adjustable they are ideal for use in storage, office and workshop applications where versatility and optimum weight capacity may be required. 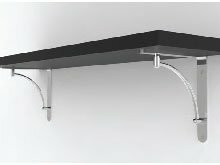 The adjustable supports that connect to the channel enable movement of the shelf position which makes them great in applications where change of use may also be desired. These brackets, once the vertical is mounted to thewall, can have the shelf screwed directly onto the horizontal part. These tend to have higher weight loading capacities and are most commonly used in offices, commercial and workspace environments where function comes before style. These brackets are very useful in areas where space is limited, such as caravans and small kitchens. 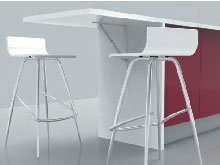 Fold down brackets are used to create tables or add additional workspace to an area which can be folded away after use then raised quickly and easily when needed. 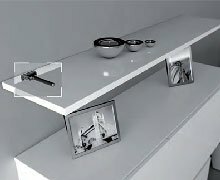 Hanger systems are most commonly used within the kitchen environment, they areused to hang and support the weight of cabinets and their contents. 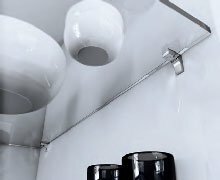 These fittings are either visible from the inside of the cabinet or hidden behind the rear panel of the cabinet carcase.